Real cowboys still exist except, often, they don’t have much to do with cows. I suppose just knowing how to interact well with a horse is enough these days. Time Out depicts a modern-day horse whisperer on a moment with his mount. 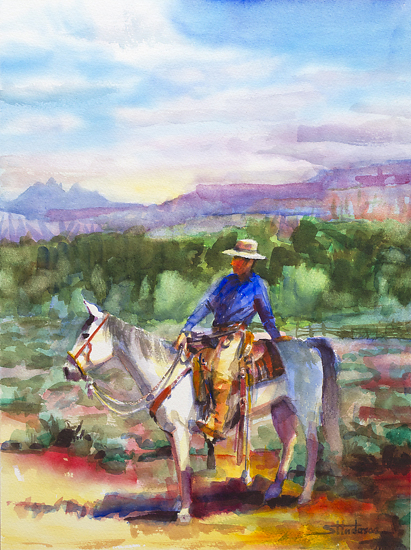 Time Out is available as both an original watercolor painting and as a limited edition print at Steve Henderson Fine Art.